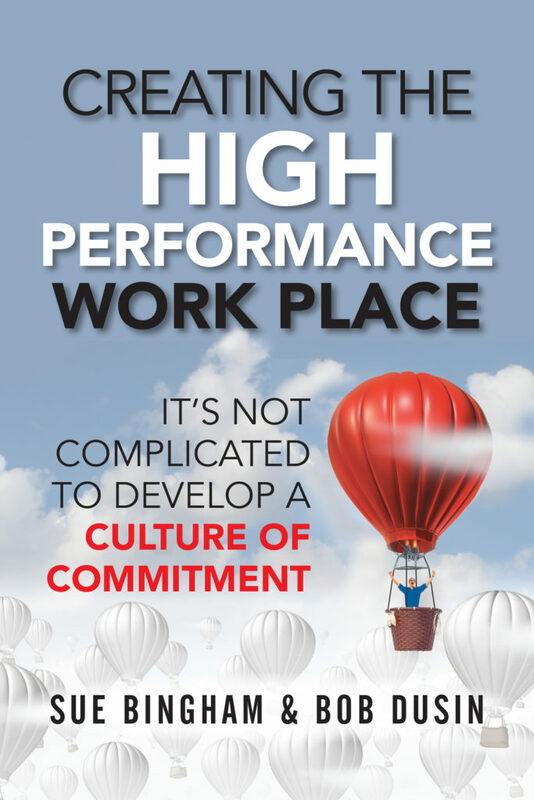 ROME, Ga., July 3, 2018 /PRNewswire/ — If a leader believes that people are an organization’s competitive edge, then they need to create a high-performance culture that takes full advantage of committed employees who love to come to work. Bingham is a founder of HPWP Group, which has been at the forefront of the positive business movement for 35 years. She has personally conducted hundreds of leadership workshops transforming the lives of over 3,000 leaders. “Approximately 95% of employees are good people, so why have policies that focus on the marginal 5%?” asks Dusin, who has worked as a construction manager, human resources and training director, and business owner. Positive Assumptions: Eliminate the blame game and CYA by assuming people want to do the right thing. Identify and Eliminate Negatives: Just get rid of those subtle status differences which cause one group of people to feel less important and less valued than others. Anything that makes a small group feel elite and a large group feel less important is a bad idea. Mutual Trust and Respect: Hire only people you would trust to watch your home, then unlock doors and supply cabinets or give everyone a key. Open, Two-Way, Adult-to-Adult Communication: Most employees raise children, own homes and support their community. Interact with people at work the same way you would with a neighbor you like. Employee Involvement and Engagement: Don’t just ask for input to give the illusion of engagement. Don’t let people get involved – expect that they want to get involved. Get rid of programs. People doing the job everyday know how to do it best – turn them loose to improve and innovate. Otherwise, you’re paying for an expensive system and only using a small part of its capabilities. Training: Training is an indispensable investment in your culture and should have a quantifiable ROI for performance improvement. What does stellar training look like? People are on a wait-list to attend your training. Competitive Wages and Benefits: Research confirms that people don’t quit for money; they leave when they feel unfairly treated. Make wages and benefits competitive and be open about the structure and data. People usually don’t leave for more money if they feel they are being treated fairly. High Expectations: If your job profiles end with “other duties as assigned” and you regularly tell people “do the best you can,” you’ve just set a low bar for performance. Set expectations in terms of maximums and then reward progress.